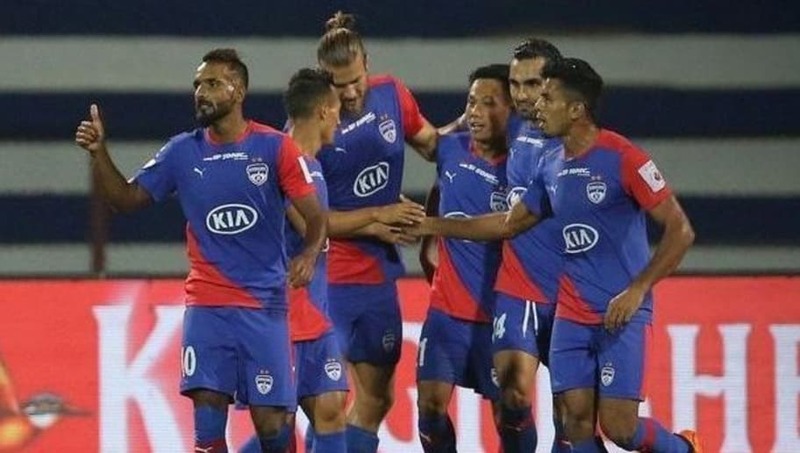 Two of the most in-form teams in this season's Indian Super League, Bengaluru FC and Mumbai City FC will go head-to-head at the Mumbai Football Arena tonight in a clash that could go a long way in deciding both the teams' fate this season. Bengaluru FC lead the Indian Super League table at the moment with 27 points in 11 games. Their opponents on the night, Mumbai City FC are second in the table with 24 points in 12 games. Astonishingly, both teams have faced each other thrice with Bengaluru FC running out winners twice whereas one game ended in a draw. Both teams have mesmerised their fans this season with their incredible display, both in attack as well as defense. Mumbai, meanwhile, will have the chance to finally hand Bengaluru FC their first defeat this season. Sunil Chhetri is primed to play his 50th match in the ISL if he is selected in Bengaluru FC's squad for this clash. 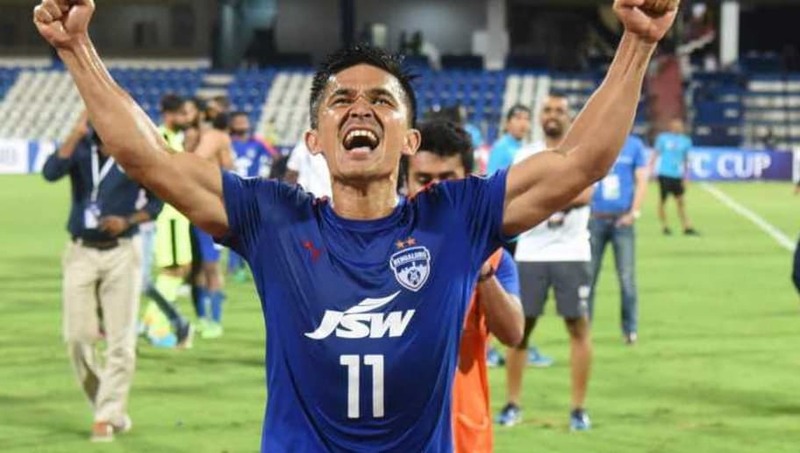 Chhetri reaching the milestone in a match against Mumbai would only be fitting, considering the star striker made his Hero ISL debut in Mumbai colours back in 2015. With a total of 26 Hero ISL goals to his name (7 in 17 matches for Mumbai and 19 in 32 matches for Bengaluru), Chhetri holds the honour of being the highest goal scorer in Hero ISL history among Indian players. Chhetri has netted three times in as many matches against Mumbai. Both teams have some incredible talent at their disposal for this game, which could give fans the opportunity to witness some high class football. 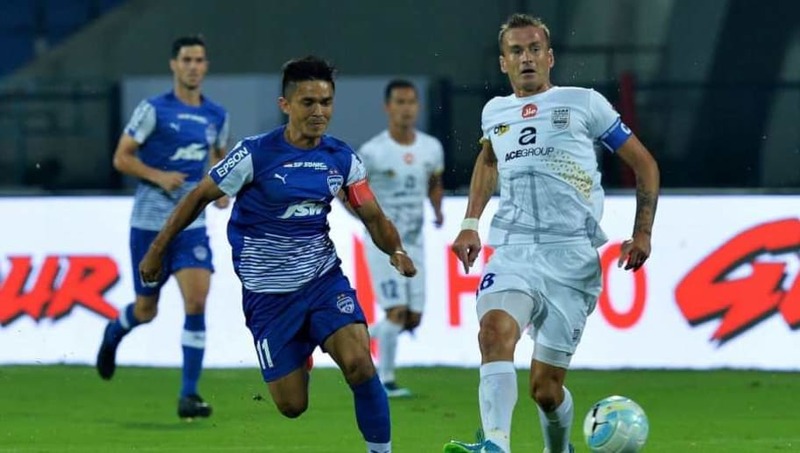 Mumbai as well as Bengaluru are expected to stay strong in defence as usual, but both sides are capable of making individual errors that could lead to goals, something which both these teams' poachers need to keep in mind. 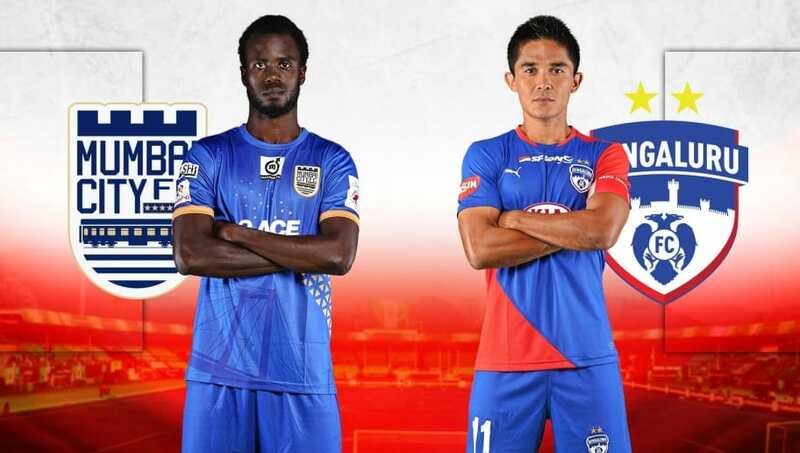 Both teams possess an array of talent but Modou Sougou for Mumbai and Sunil Chhetri for Bengaluru FC could yet again prove to be critical for their respective teams today.